Where is this located? I HAVE TO KNOW!!!! This is the coolest thing ever. I mean what kid (boy OR girl) didn’t dream of finding one of the houses inhabited by one of the characters from The Wind in the Willows or The Hobbit & making friends with the talking animals with their trousers, spectacles, & pocket watches? 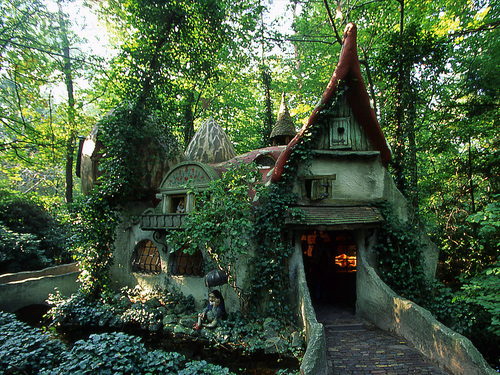 I would live in that little cottage in a heartbeat!!! Thank you so very much for sharing such an amazing photo that brings out the child in all of us! !